all the way from the tree to your house. If you are an organic company and you want to be authoritative and competitive on certain international markets, there is no room for improvisation. Before being assessed by notified bodies, we personally carry out our own and very thorough conformity assessment: in our establishment we analyse, shell, select, roast, process and modified-atmosphere or vacuum package our products. 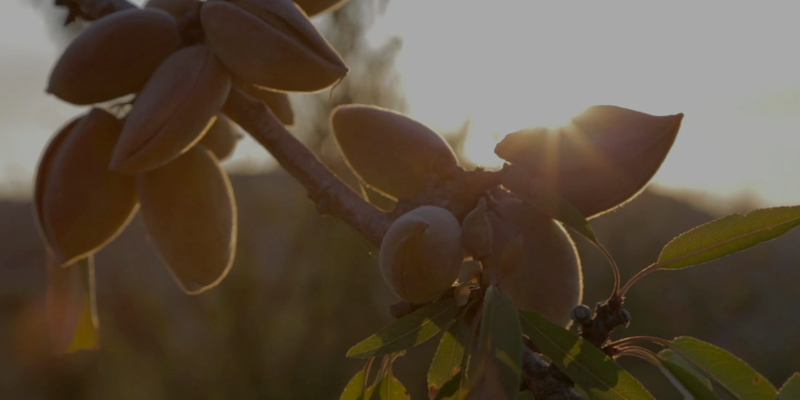 Firstly we personally and thoroughly check every single almond and hazelnut: every product is assessed with an automatic laser control, a manual visual control, a metal detector automatic control and, lastly, an automatic weight control: we can honestly say that nothing gets past us. And then we are working on a really exciting project: we want to find a way to recycle all our by-products; this means we will give new life to nutshells, leaves, branches, almond and hazelnut skins. We can boast a range of certifications that very few other companies in Italy have and we are a solid partner even for those who rely on us for wholesale, assuring constant quality and a fully transparent production chain. All our products come from certified organic farming. To be certified organic means that the notifying body assess the entire production chain, from the raw material to the packaged products. It means that everything we process or produce respects the agroecosystem and the environment. And for us it also means we care about your wellbeing and that of the world we live in. We are one of the 2,000 certified companies around the world that can boast the B-corp certificate, something we are very proud of. We fully identify with the definition of a company that innovates to maximise its positive impact on workers, community and environment. Because this is what we really do and what we have always done. Most of our products are Kosher certified: come and discover them. Nuts are naturally vegan! Vegan OK certifies our products, which are all whithout milk. This ethical certification naturally complements our commitment towards the wellbeing of the people who work for and with us, no matter what part of the world they live in. Our products undergo the strictest controls in order to avoid gluten cross-contamination due to flours and starches, to meet the needs of our gluten-intolerant customers. We also carry out a strict control of other allergens on the raw materials we buy, such as cocoa or brown sugar.